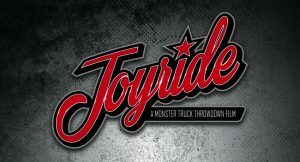 ATTICA, INDIANA – June 2, 2016 – After rave reviews of 2014’s film “Throw Down For What?” the Michigan based Monster Truck Throwdown Team plans to release a new film titled “JOYRIDE” – available in both hard copy and digital release in the late Fall of 2016. “JOYRIDE” will feature unique filming locations such as the Badland Off Road Park, the woods of Maine, and salvage yards and gravel pits throughout Michigan, Indiana, Ohio, Illinois, North Carolina, and Alberta. “We want to depict monster trucks how we vision them. Outside of the track and into the elements,” stated Monster Truck Throwdown Executive Producer, Elliott Miller. “The planning stage has truly been a team effort with the visions of many. We’re excited to bring monster trucks to life and into people’s homes to be enjoyed, over and over again.” he added. 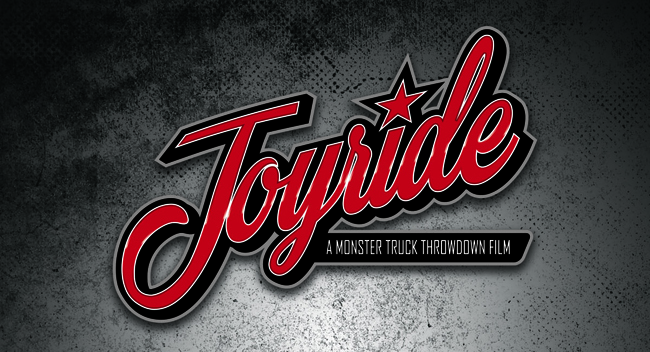 “JOYRIDE” will celebrate the 20th Anniversary of Jim Koehler and Avenger with never before seen footage from the personal collection of the Koehler Family along with some very rare nostalgic monster truck action from the early 90’s, courtesy of Perrin Motorsports. “We’re looking forward to capturing the action with truly spectacular views using new techniques to bring our viewers a whole new look at the (monster truck) industry.” said Director of Cinematography, Kyle Carr. Filming has started this week in Indiana. Look for more information to be released on “JOYRIDE” in the coming months. Monster Truck Throwdown is a live event series which tours the United States and Canada producing premier outdoor events while delivering the larger than life entertainment of monster trucks in a safe, first-class, family event experience. 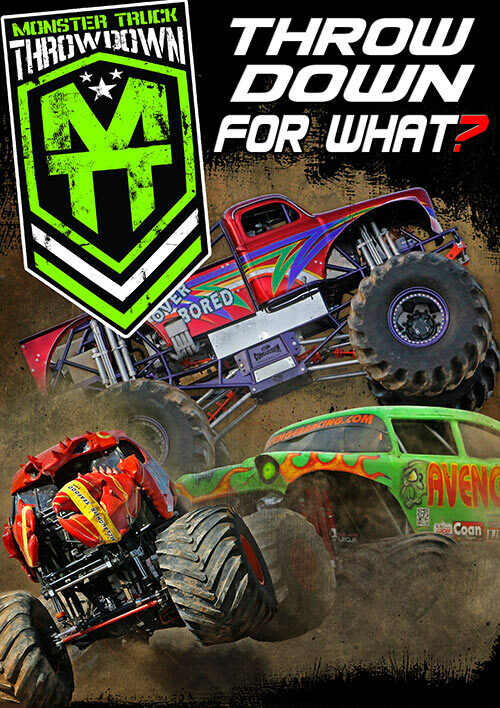 Strap yourself in for a monster truck thrill ride on the Monster Truck Throwdown tour with the all new “Throw Down For What?” DVD! Watch as the limits of man and machine are pushed, with drivers Jim Koehler, Devin Jones, Jamey Garner, Greg Winchenbach, and many more defy gravity, soaring their 10,000-pound mechanical beasts over 40 feet in the air throughout Michigan, Maine, Illinois, Ohio, and Indiana in pursuit of the 2014 Monster Truck Throwdown championship title. Our cameras bring you all the high flying Monster Truck Throwdown insanity you can handle, along with behind-the-scenes footage, driver interviews, on-board cameras, and more! You’ll catch a glimpse of the challenges drivers and crews face as they battle against the elements and each other in their quest for glory. Throw Down For What? pushes monster trucks to the next level! Pre-order your DVD copy today! All pre-orders ship on December 5th! 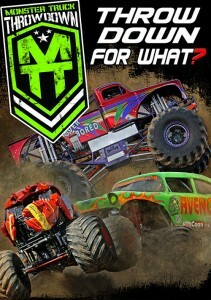 Available now at www.ThrowDownForWhat.com or www.MonsterTruckThrowdown.com! 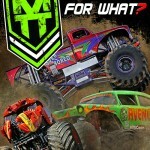 Filed Under: Featured News, News, Press Releases Tagged With: Monster Truck Throwdown, Throwdown for What? 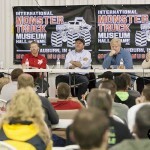 (Auburn, Indiana – IMTM PR – November 3rd, 2014) – The International Monster Truck Museum announced today that the 5th Annual Hall of Fame Induction Ceremony & Reunion will take place Saturday, November 14th, 2015 in Auburn, Indiana, with the IMTM Open House Meet & Greet taking place on Friday, November 13th, 2015. Once again, several legends of monster trucks will receive the industry’s highest honor in recognition of their great careers. One change for the upcoming year is that, in an effort to preserve the pool of qualified Hall of Fame candidates for future years, the IMTM Board of Directors has unanimously agreed to induct 4 new members to the Hall of Fame in 2015. The 4 inductees will continue to be chosen from a group of 20 nominees, decided upon by the 25 member 2015 IMTM Nominating Committee. 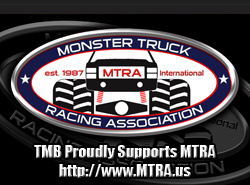 May 15th-17th – IMTM Display Booth at the Lima, OH 4-Wheel Jamboree Nationals. May 16th – The 2015 IMTM Hall of Fame Nominees will be announced at the Lima, OH 4-Wheel Jamboree Nationals. September 18th-20th – IMTM Display Booth at the Indianapolis, IN 4-Wheel Jamboree Nationals. September 19th – The 2015 IMTM Hall of Fame Inductees will be announced at the Indianapolis, IN 4-Wheel Jamboree Nationals. Thank you for your continued support of the International Monster Truck Museum & Hall of Fame, as we prepare to once again honor our sport’s heroes in 2015! 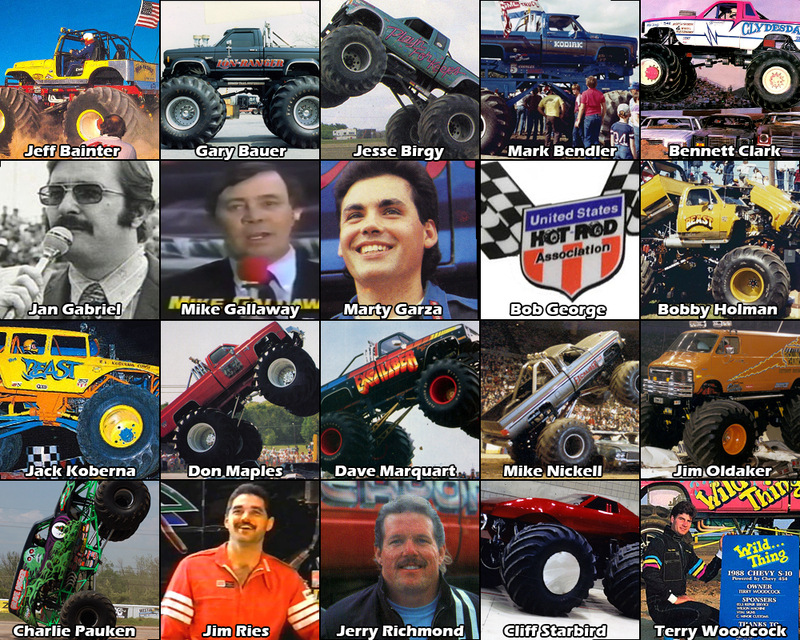 (Auburn, Indiana – IMTM PR) – The International Monster Truck Museum & Hall of Fame is very proud to officially announce the 20 nominees for the 2014 IMTM Hall of Fame class. Members of the official 2014 IMTM Nominating Committee, consisting of 25 people from all aspects of the monster truck industry, were charged with the process of narrowing the great number of candidates who have excelled in the monster truck industry over the years, down to an official voting ballot of 20 names. Each committee member submitted a form listing the 20 names they wish to nominate, along with a brief explanation of the qualifications of each. With the nominating process now complete, an official voting ballot will be created, listing all 20 nominees. Members of the IMTM Board of Directors, along with previous Hall of Fame Inductees will each receive a voting ballot. They will vote for 5 of the 20 nominees and return their ballot. The 5 nominees receiving the most votes will be inducted into the IMTM Hall of Fame on Saturday, November 1st in Auburn, Indiana. These 5 inductees will be announced to the public on Saturday, September 20th at the 4-Wheel Jamboree Nationals in Indianapolis, Indiana. Tickets to attend the 3rd Annual IMTM Hall of Fame Induction Ceremony & Reunion will go on-sale Monday, September 1st and will be available online at www.MonsterMuseum.org. May 16th-18th – IMTM Display Booth at the Lima, OH 4-Wheel Jamboree Nationals. 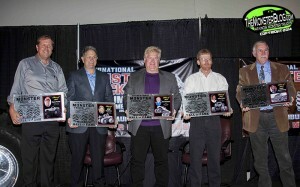 June 21st – The 2014 IMTM Hall of Fame Nominees will be announced at the Springfield, MO 4-Wheel Jamboree Nationals. September 19th-21st – IMTM Display Booth at the Lima, OH 4-Wheel Jamboree Nationals. September 20th – The 2014 IMTM Hall of Fame Inductees will be announced at the Indianapolis, IN 4-Wheel Jamboree Nationals. 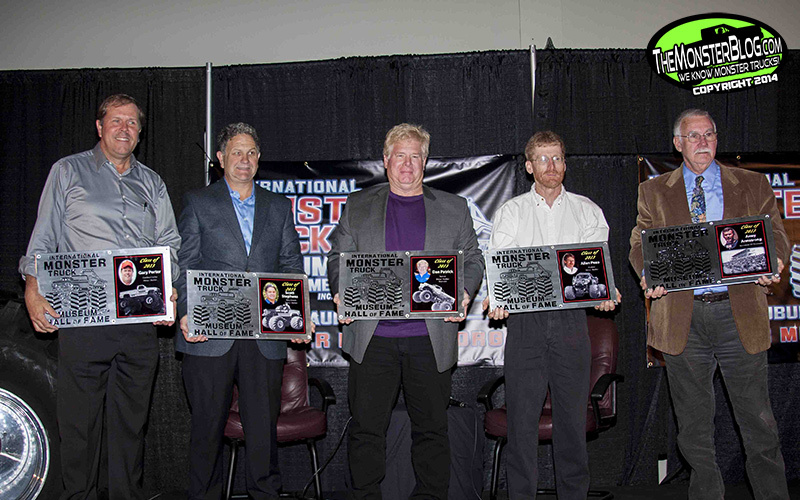 Thank you for your continued support of the International Monster Truck Museum & Hall of Fame, as we prepare to once again honor our sport’s heroes in 2014! (Auburn Hills, Michigan – Mopar PR) – Mopar, Chrysler Group LLC’s service, parts and customer-care brand, will be taking to the Monster Truck Racing Series arena with the new “Mopar Muscle” Ram monster truck beginning with the Monster Jam event in Detroit on Jan. 11. 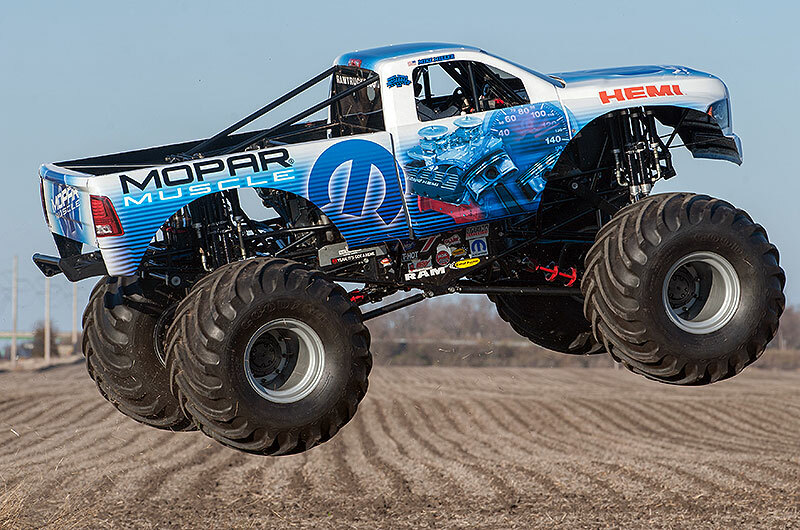 Partnering with the Hall Brothers and extending Mopar’s reach into monster trucks felt like a perfect fit to Tricia Hecker, Marketing Director — Mopar, who sees the benefits of participating in a series that appeals to an audience with similar passion and core values as the brand. The Ram Truck brand continues to establish its own identity and clearly define its customer since its launch as a standalone vehicle brand. Creating a distinct brand for Ram trucks has allowed the brand to concentrate on how core customers use their trucks and what new features they’d like to see. Whether focusing on a family that uses its half-ton truck day in and day out, a hard-working Ram Heavy Duty owner or a business that depends on its commercial vehicles every day, Ram has the truck market covered. The Ram Truck brand has the most innovative lineup of full-size trucks on the market. Ram Truck has emerged as a full-size truck leader by investing substantially in new products, infusing them with great looks, refined interiors, durable engines and features that further enhance their capabilities. Truck customers, from half-ton to commercial, have a demanding range of needs and require their vehicles to provide high levels of capability. Ram trucks are designed to deliver a total package. More than 75 Years of Mopar Mopar (a simple contraction of the words Motor and PARts) was trademarked for antifreeze product in 1937. The Mopar brand made its mark in the 1960s – the muscle-car era. The former Chrysler Corporation built race-ready Dodge and Plymouth “package cars” equipped with special high-performance parts. Mopar carried a line of “special parts” for super-stock drag racers and developed its racing parts division called Mopar Performance Parts to enhance speed and handling for both road and racing use. The brand has expanded to include technical service and customer support. 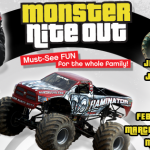 (Indianapolis, IN – Family Events PR)- Families will enjoy a “Monster Nite Out” in seven arenas around the U.S. as the 2014 winter season of the Lucas Oil Monster Truck Nationals schedule is announced. Tickets go on sale Friday, November 8th for each of the tour stops with complete ticketing information available at www.MonsterNationals.com. The 2014 “Monster Nite Out” tour will present an all-star high-caliber lineup of the world’s most famous and powerful monster trucks including the “original monster truck”-BIGFOOT. At each tour performance, a pit party with the drivers and their monsters will be held two hours prior to show time. At the pit party, families can get photos, autographs, and get up-close to the ultra-high powered high-jumping machines. Live music from rising country star Brandon Maddox and band will add to the fun. New for 2014 is the addition of a chance for lucky attendees to walk away with CASH from the Lucas Oil Monster Truck Nationals “Monster Money Booth”. At intermission, three lucky contestants chosen from qualifiers selected at the pit party and the first half of the show will step inside the booth and grab handfuls of cash from a swirling cash tornado called the “Cash-Nado”. 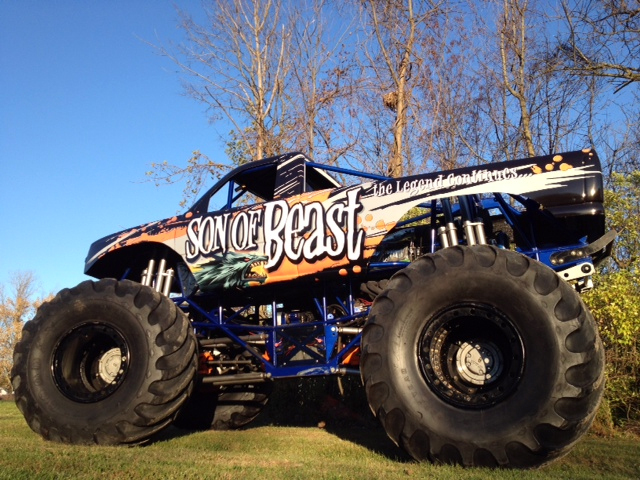 Lucas Oil BIGFOOT® – The original and world’s most famous Monster Truck returns. 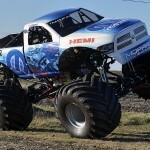 RAMINATOR® – The Hemi-powered Ram HD dominating machine from Hall Brothers Racing. RAMMUNITION® – A Ram 1500 tuned and tricked-out Hemi-powered winner. 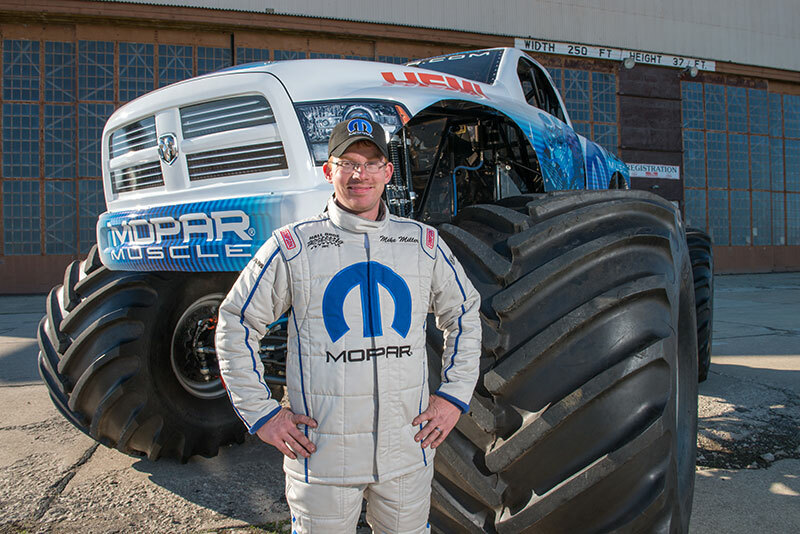 WAR WIZARD- Renowned speed-demon debuts on the Lucas Oil Monster Truck Nationals tour. HEARTBREAKER – Female driver Kaila Savage is known for her fierce freestyles. SAMSON – Legendary monster truck builder Dan Patrick’s mechanical marvel. PREDATOR – Veteran Allen Pezo has been thrilling crowds for decades with his all-out style. BAD NEWS TRAVELS FAST – Brandon Darrow literally grew up with monster trucks and now is one of its rising young stars. 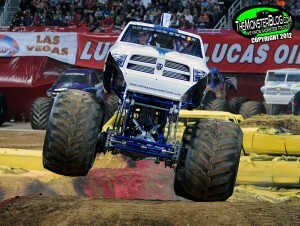 For more information on the 2014 Lucas Oil Monster Truck Nationals, visit them online at www.MonsterNationals.com. (Dayton, OH – Team Beast PR) – Team Beast is excited to announce the addition of Rubber-Seal Products and Medallion Automotive Refinishing Systems to the team. Team Beast is home to the historic “HOLMAN’S BEAST” monster truck, piloted by Bobby Holman, while Rubber-Seal offers top quality clearcoats, primers, activators, adhesives, sealants, abrasives, hardware, and many problem solving specialty tools under the Medallion Refinish and Medallion Repair System labels. In joining these two great teams, Team Beast and Rubber-Seal Products have collaborated to create the “MEDALLION HEAVY MEDAL” Chevrolet Silverado monster truck to promote the Medallion line of refinish and repair systems. “MEDALLION HEAVY MEDAL” will begin touring the United States in January of 2014! Team Beast is honored to be affiliated with an outstanding company and group of people such as Rubber-Seal Products and look forward to the future of this relationship. In addition to the “MEDALLION HEAVY MEDAL” monster truck joining the Team Beast lineup, second generation monster truck driver, Cody Holman, the son of “HOLMAN’S BEAST” creator, Bobby Holman, is proud to unveil his new monster truck, “SON OF BEAST,” as he continues the “HOLMAN’S BEAST” family tradition. “’SON OF BEAST’ was an idea we dreamed up to continue Team Beast as a father-son tradition. We considered the idea for a long time and decided that the time was right,” said Cody Holman of the new identity. “SON OF BEAST” will be joining the Team Beast lineup of “HOLMAN’S BEAST,” “MEDALLION HEAVY MEDAL,” and “IRONMAN STEALTH” for 2014. 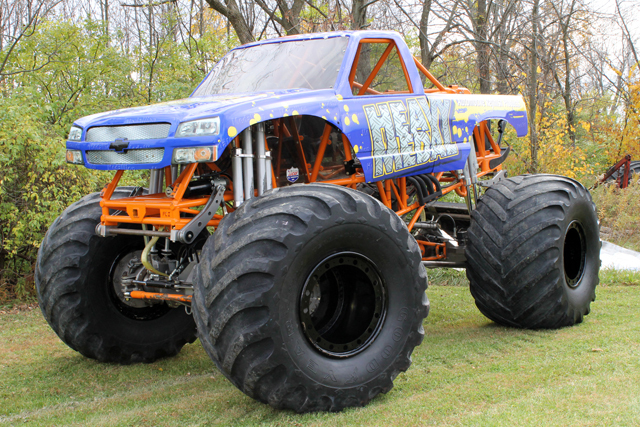 Team Beast, of Dayton, OH, Ohio`s Largest Monster Truck Team, fields four professional monster trucks around the country. With nearly 30 years of experience in the monster truck industry, they are one of the most historic teams in the industry. Follow Team Beast on Facebook. (Auburn, Indiana – IMTM PR) – The International Monster Truck Museum & Hall of Fame is very proud to officially announce the 20 nominees for the 2013 IMTM Hall of Fame class. Members of the official 2013 IMTM Nominating Committee, consisting of 25 people from all aspects of the monster truck industry, were charged with the process of narrowing the great number of candidates who have excelled in the monster truck industry over the years, down to an official voting ballot of 20 names. Each committee member submitted a form listing the 20 names they wish to nominate, along with a brief explanation of the qualifications of each. With the nominating process now complete, an official voting ballot will be created, listing all 20 nominees. Members of the IMTM Board of Directors, along with previous Hall of Fame Inductees will each receive a voting ballot. They will vote for 5 of the 20 nominees and return their ballot. The 5 nominees receiving the most votes will be inducted into the IMTM Hall of Fame on Saturday, November 9th in Auburn, Indiana. These 5 inductees will be announced to the public on Saturday, September 21st at the 4-Wheel Jamboree Nationals in Indianapolis, Indiana. Tickets to attend the 3rd Annual IMTM Hall of Fame Induction Ceremony & Reunion will go on-sale Monday, September 2nd and will be available online at www.MonsterMuseum.org. The 2013 Advance Auto Parts Monster Jam World Finals is just weeks away and the excitement is starting to build. With an exciting line up of 28 trucks competing in the final showdown, including the winner of the Young Guns Shoot out, this promises to be an exciting event. With favorites competing such as Grave Digger, El Toro Loco and Monster Mutt there is appeal for both veteran fans and those new to the Monster Jam events. Whether it’s your first Monster Jam event or you’re a regular, the World Finals in Vegas offers something for every fan. Fans looking to attend the event in a few weeks but still need a hotel in Vegas can purchase official hotel packages from PrimeSport, the official travel partner of the Monster Jam World Finals. These official packages include hotel accommodations, event tickets, VIP pre-event hospitality, roundtrip shuttle transfers, and official commemorative souvenirs. Get your Monster Jam World Finals tickets through Primesport! As the Official Ticket Exchange for the Monster Jam World Finals, PrimeSport also offers tickets only for the fan who already has their travel taken care of and is just looking to get great seats. Furthermore, if a ticket holder is unable to attend, they have the ability to post tickets for sale on an official exchange site. To check out all of PrimeSport’s offerings for the Monster Jam World Finals, please click here. (Aurora, Illinois – Feld Motor Sports PR) – Feld Motor Sports® announced today the line-up and the return of the Advance Auto Parts Monster Jam World FinalsSM Young Guns ShootoutSM on Friday, March 22, which is exclusively part of the Friday night Monster Jam World Finals Double Down package. The Advance Auto Parts Monster Jam World Finals XIV, presented by NGK Spark Plugs, takes place March 22-23 at Sam Boyd Stadium in Las Vegas, NV. Making its debut in 2012, the Advance Auto Parts Monster Jam World Finals Young Guns Shootout was created to put some of the best Monster Jam® drivers, who have little or no Monster Jam World Finals experience, in a racing format to determine the Young Guns Shootout champion on the toughest Monster Jam track on the planet. 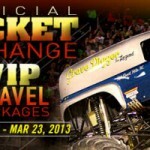 The Young Guns Shootout will take place in conjunction with the Friday Double Down, in which fans can upgrade their 2013 Advance Auto Parts Monster Jam World Finals experience with access to Friday’s activities including a private Pit Party, BBQ, Qualifying Races, and merchandise by “doubling down”. 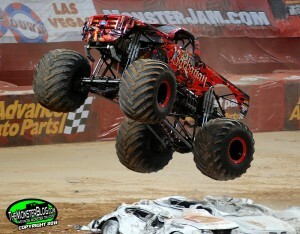 Double Down packages can be purchased at http://www.unlvtickets.com/eventInfo/spe/309/monster-jam-world-finals/. Devin Jones and Barbarian will make their first appearance in Las Vegas. The inaugural Advance Auto Parts Monster Jam World Finals Young Guns Shootout featured an eight-truck field of the top young drivers, and culminated with Spider-Man driver Bari Musawwir edging out Nicole Johnson and Advance Auto Parts Grinder®. JR McNeal and Razin Kane will make their second appearance in the Young Guns Shootout. For more information on the Advance Auto Parts Monster Jam World Finals℠ presented by NGK Spark Plugs, log onto www.MonsterJam.com. Updates will be posted all weekend long on Facebook.com/MJOnline and Twitter.com/MonsterJam. 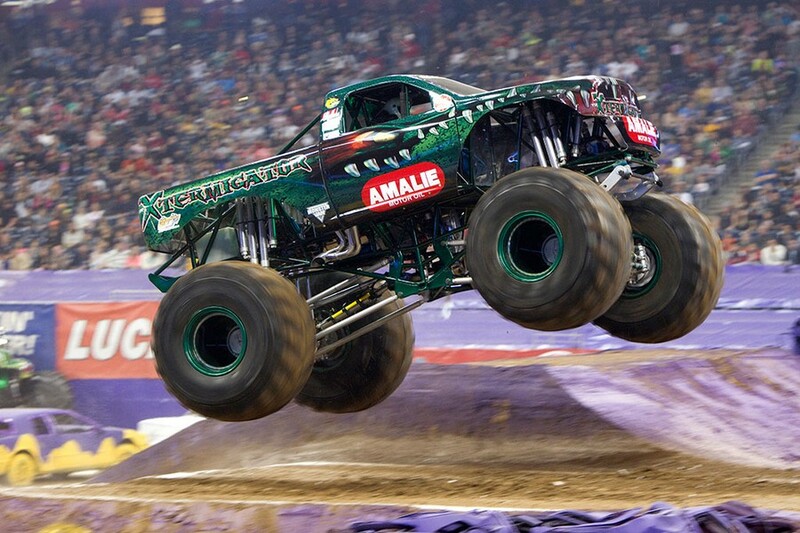 (Drummondville, Quebec – Chris Arel Motorsports PR) – Get ready Montreal, on April 20th the Monster Spectacular will be back in Montreal for its 18th edition at Olympic Stadium and it is going to be bigger then ever! The 2013 event will feature 14 monster trucks competing on one of the largest indoor tracks seen in the entire sport. 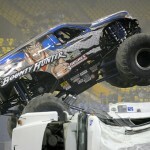 Bounty Hunter and Avenger headline the return of Monster Spectacular to Olympic Stadium. Fan favorites Bounty Hunter, Avenger, Black Stallion, Red Baron and Brutus return to take on a great group of challengers including Hurricane Force, Storm Damage, Higher Education, Spike, Wrecking Crew and Shell Camino, along with more TBA. As always, the monster trucks will be joined by some incredible thrill acts including freestyle motocross, ATV freestyle and the biggest ever ATV race with over 50 competitors from all over the world. The only way to be a part of the thrills and excitement is to be there LIVE, so watch www.MonsterSpectacular.com for tickets to go on sale very soon. Also follow us on Facebook to never miss all the latest Monster Spectacular information at www.Facebook.com/MonsterSpectacular. (Aurora, Illinois – Feld Motor Sports PR) – Monster Jam®, an entertainment property of Feld Motor Sports®, and Walmart have joined together to offer customers access to an unprecedented Monster Jam experience. Together Monster Jam and Walmart have created specially priced family 4-packs of tickets that will be available for Monster Jam events in over 70 markets. Additionally, select Walmart store parking lots will play host to popular Monster Jam trucks like Grave Digger®, Max-D®, and Team Hot Wheels® Firestorm®, and customers will have the chance to get driver autographs while also stocking up on merchandise from the in-store Monster Jam merchandise pallets. Monster Jam truck display events kicked off on Friday, January 4th and will continue through March. Monster Jam is teaming up with Wal-Mart for 2013! Monster Jam fans already go to Walmart for the biggest selection of officially licensed Monster Jam merchandise which includes toys, video games, bedding, apparel and even birthday cakes. This entertainment program brings with it new Monster Jam products that will complement the current Monster Jam product assortment at Walmart locations across the country. Customers can now purchase new 2013 Hot Wheels® Monster Jam die-cast vehicles and playsets, Men’s and Boy’s t-shirts, and, to help fans get ready for the shows, exclusive officially licensed Monster Jam souvenir items available only at Walmart. The family 4-pack ticket packages are available for purchase in the electronics aisle at participating Walmart Ticketmaster retail locations and online through www.walmart.com/ticketmaster. 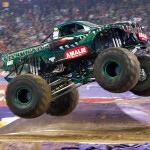 For a full listing of all participating Walmart stores, please visit www.MonsterJam.com. Feld Motor Sports®, Inc. is the world leader in specialized arena and stadium-based motor sports entertainment. Feld Motor Sports, Inc. productions include Advance Auto Parts Monster Jam®, Monster Energy Supercross, AMSOIL Arenacross, Monster Energy Cup, Nuclear Cowboyz®, and IHRA® Nitro Jam®. Feld Motor Sports, Inc. is a division of Feld Entertainment, the world’s largest producer of live family entertainment. For more information on Feld Entertainment, visit www.feldentertainment.com.